Microsoft strikes deals with Uber, AOL | The Daily Programmer '+g+"
Microsoft is handing over its majority of its advertising services to AOL, and a portion of its mapping technology to Uber, the tech giant confirmed on Monday. The decision is based on Microsoft's strategy to focus on their company's core services, including its search and search advertising services. AOL, formerly America Online, and recently acquired by Verizon Communications, will be managing Microsoft's display ads business. Microsoft said that there won't be any layoffs, and the employees would be offered a chance to transfer to AOL. As part of the 10 year deal, AOL's default search engine will be Bing, and AOL will sell display ads on XBox, Skype, MSN, Outlook.com, and other sites, on several major platforms. Microsoft had previously partnered with an outside company, AppNexus, a New York based company providing specialized online advertising platform. A multi year extension of this deal was also recently carried out. As for its map deals, Microsoft has partnered with Uber, a San Francisco based online cab services company. Uber's services revolve around its intensive mapping technology. This is one of the primary reasons for Uber to invest more in its own technology. 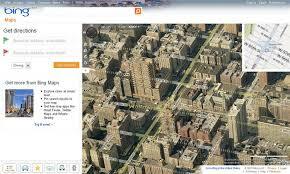 It already uses map based services provided by Google, Apple, and several others. Uber is also rumoured to have an interest in Nokia's Here mapping unit. Like AOL, Uber too will be offering jobs to employees of Microsoft. Uber will, however, not take over the complete mapping unit of Microsoft, only the imagery acquisition operations. Microsoft will still be dealing with mapping units which is at the core of their services, while partnering with other image providers as well. It can be concluded that Uber is trying to expand its horizons by going beyond being just a ride service, while Microsoft is more concerned with its broader goals, and shedding off its low paying services.